Dr Tahera Bhojani–Lynch is a doctor and surgeon who has specialised in ophthalmology and aesthetic medicine. As a member of the Royal College of Ophthalmologists, she was the first female British graduate to perform LASIK eye surgery in the UK and is a certified laser refractive surgeon. 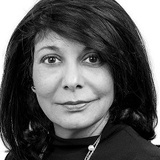 Dr Bhojani-Lynch has worked in clinical research for Allergan, Lilly and Pharmacia, and as a consultant in aesthetics for Galderma, Merz and Teoxane.